A ferry bound for Tubigon was accidentally rammed by a cargo vessel off Talisay City near the Cebu port at past 1:30 a.m on Friday, said the Philippine Coast Guard (PCG) 7. 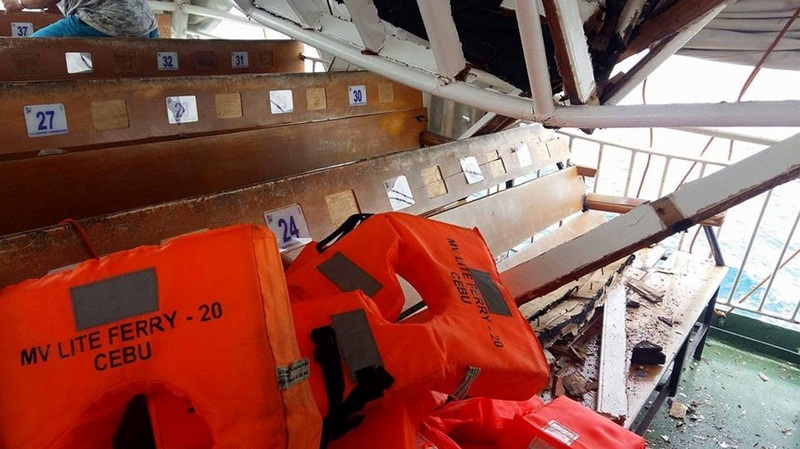 The PCG-7 told dyRD Balita that none of M/V Lite Ferry 20’s 54 passengers were injured during the incident at Lawis Ledge, a narrow strait in the port of Cebu deemed to be dangerous for ships. Crew members of the LCT Seamine 8 were also unharmed. According to the PCG, the cargo vessel was headed towards Naga, Cebu when it accidentally hit the rear portion of the ferry. The cargo vessel incurred minimal damages while a portion of the roof of Lite Ferry 20’s sundeck collapsed. However, the PCG did not elaborate on the cause of the collision as investigation is still ongoing. Lite Ferry 20, meanwhile, safely reached the Tubigon port after the accident. Earlier, authorities have pinpointed Lawis Ledge in Cebu as a disaster-prone area for vessels. In 2013, passenger ship St. Thomas Aquinas collided with a cargo ship as it passed through the narrow strait.